The Tummy Tuck (Abdominoplasty) is one of the top plastic surgeries in the United States. It might be too late to improve your body shape for the holiday season but having a tummy tuck now may leave you in perfect condition for Summer. Our Kansas City plastic surgeon performs this procedure year-round, but there are several benefits to going under the knife during the winter months. Summertime in Kansas City often involves swimming and being outdoors enjoying the warm sun, which means your friends and family are more likely to notice you’re recovering from surgery during this time. The perk of having an abdominoplasty in the winter is that most people stay indoors during these frigid months in the Midwest. If you’re cuddled up in a warm blanket binge-watching something on Netflix while you recover, your friends and family aren’t going to think twice about it. Unless you’re one of those people who wear shorts in a snowstorm, you’re most likely bundled up every time you leave the house. Many of us in Kansas City wear multiple layers and sweaters this time of year, which helps cover up compression garments, swelling, bruising, and any visible stitches from your tummy tuck procedure. The sweltering heat of Kansas City in July and August makes it hard to hide surgical sutures and bruising, but winter provides the perfect temperatures for optimal healing and discreet recovery. Our board-certified plastic surgeon, Dr. Levi Young, recommends patients take at least one week off of work, which can be difficult for those who work in certain professions such as a middle-school teacher. Taking time away from work is easier and less conspicuous during the winter months. Most people get a two to three-day break for Christmas and then again for New Year’s, and teachers get up to three weeks. You won’t have to take as much PTO or unpaid leave if you schedule your tummy tuck in the winter. You’re also less likely to be asked why you’re taking leave as most will assume it’s for the holidays. 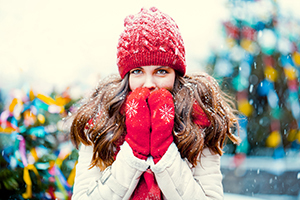 These are just a few of many perks to plastic surgery in the winter. Others include less sun exposure and activities, so you don’t have to miss out on your swim team or softball league to recover from a tummy tuck. Many of our patients choose a tummy tuck after pregnancy and childbirth or massive weight loss. The procedure involves removing excess skin in the stomach area, tightening underlying abdominal muscles, and getting rid of unwanted fat to provide a flat, sculpted figure. If you’re interested in improving your figure with an abdominoplasty or another plastic surgery procedure, please contact our plastic surgeon in Kansas City today at (913) 341-2188 to schedule your initial consultation. Advanced Cosmetic Surgery provides cosmetic treatments and plastic surgery to patients in Kansas City, Overland Park, Leawood and surrounding areas of Kansas and Missouri.